Last winter and through spring, I spent most of my painting time working on a series of oil landscapes, 24 x 30 inches or larger. I've painted hundreds of small landscapes, but painting in a larger format requires a slightly different set of skills. 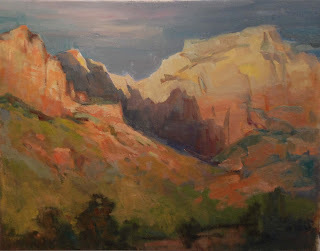 Occasionally, I have been able to paint a large landscape directly, plein air. From painting for so many years, I have a back log of ideas and inspirations that I'd like to explore in either oil or watercolor. 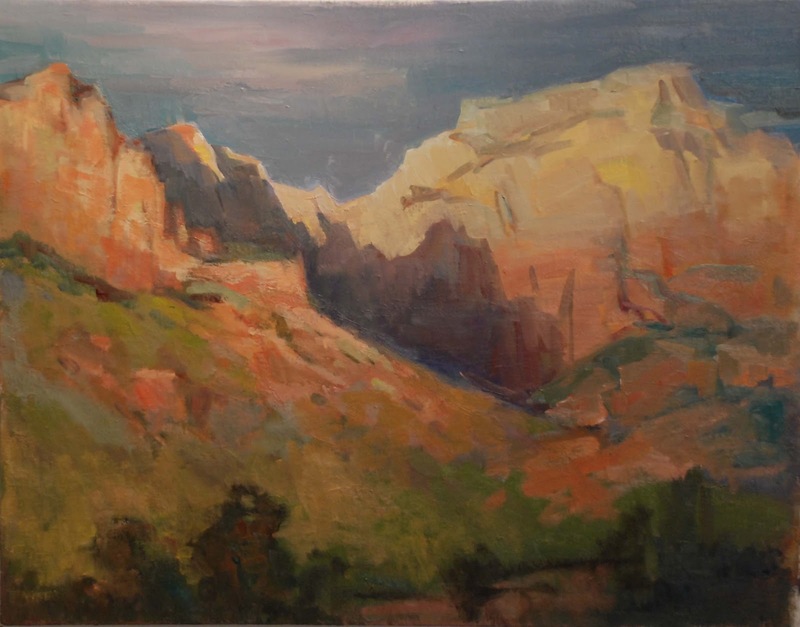 The painting on the right is from a memory of a landscape near Apache Junction in Arizona.